An award and an interview all in one day! 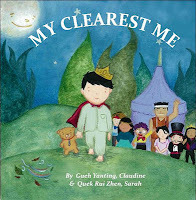 One of the most interesting recent children's books is a picture book called My Clearest Me, by Claudine Gueh Yanting. The highly poetic text shows the thoughts of a shy boy who wonders how he fits into the world. I am delighted to have Claudine as my guest today. I asked her to talk about the experience of writing this unusual book. It started out this way: a boy would be asleep and there would be creatures appearing in his dream. Perhaps in alphabetical order. The focus would be on the train of creatures in the dream. The readers would be ‘watching’ a circus show. Sounds like a good idea for a picture book. Somehow, my mind kept drifting to the boy. The only quiet element in the ruckus. Who was he? How was he like? Did he … want something? Wynn’s conflicts are based on my experience as an insecure introvert. Right from when I’d known the boy would be a quiet child, the image of a bout of fresh, gentle night wind came to me. He would be the Night Wind King, soft and clear. So I looked for imagery in the night sky, in clothings, in masks and real appearances, and in music. - a bout of night wind VS sparks that crack the sky. Soon the sounds and silence began to mix. I started to think about presenting the story in a musical way. … nearly did me in. The concept was to set the tone in a softly blowing manner with a consistent rhythm. I’d wanted the language to be part of the wind imagery. Even Wynn’s worries would be presented in a style that was very honest and clear, like a voice that’s right next to your ears. No additional noise necessary. Each word was reconsidered and each line revised over and over. While writing the manuscript, I was already visualizing the artistic direction of each page. Would this be a single picture in a double-page? Would this be a close-up? How could we show the contrast between Wynn and the other kids? I related to Sarah my ideas and showed her a flimsy book dummy I’d made. She got things very quickly. About a week later, she showed me the storyboard. We went through each page and tweaked the drafts, with Sarah putting in her ideas and details along the way. They worked amazingly. There wasn’t a moment of frustration during our partnership. None at all. It was so fun for us, and the book has turned out to be as whimsical and magical as we’d hoped it would be! We’d done our best to sail this ebook out. Fingers-crossed, we just hope the rest of the world will like Wynn’s story, too! 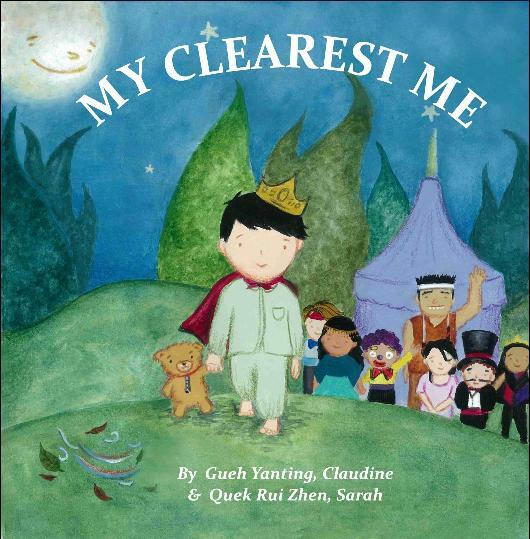 A postscript from Claudia: My Clearest Me is a small gift of courage for children who are exploring their inner world. And if you have a minute, it’d be truly wonderful if you could help us grow and share your thoughts on Amazon. Good story? Not so good? I’d love to read what you think! You can purchase My Clearest Me here and see the book trailer here. 1. I'm privileged to be an interview guest on Jane Richardson's blog, as part of her One Link Only series. Please stop by and learn embarrassing things about me! 2. This blog has received the Liebster Award! This award is given to bloggers who have under 200 followers, with the idea of making new connections in the blogosphere. I'm very grateful to have been deemed worthy by Kelly Hashway. In return for this honor, it is my duty to pass it on to five other worthy bloggers. I'm still on deadline for a few more hours, and this needs careful thought. So I will announce the next recipients tomorrow. Now, don't get me wrong. I'm very pleased with my new website. But I decided to kill its blog. 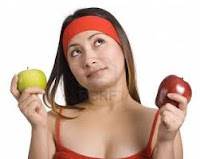 It seemed like such a good plan to have two blogs. I'm a very organized person, and I was sure I could find a specific use for Blog Number Two, separate from this one. But I was wrong. It was a blog too many. So I replaced it with a Guestbook and a Contact page. And this Blogger blog that you're now reading is sniggering snidely (don't you think they get a personality after a while?). It knew. It just knew. It was my one and only. But don't tell this blog that I moonlight elsewhere! You can see my latest guest post on the MuseItUp site, where I'm discussing the allure of the troublemaker in tween lit. Last week I saw Theresa Rebeck's play, Seminar, on Broadway. Yes, it stars Alan Rickman, and I put his name in the title to lure you here and offer a picture of him to please you. But this post is not about Alan Rickman, or about any performance in this particular production. It's about the characters in Rebeck's play. Now, I know a lot of writers. I know journalists and novelists and scholars. Writers of picture books, YA, sci fi, and erotica. Teachers and students, young and old, male and female. Those with multi-book deals at Penguin and those who've never published anything. But I don't know any of the five writers in Theresa Rebeck's play. I understand that, in fiction of all genres, it is useful to condense and stylize characters. But what Seminar glosses over is a sense of the individual work it takes to be a writer, the constant internal push a writer must give him/herself to keep going. I longed for an acknowledgment of how the creative engine is stoked by each writer in his or her individual (and often rather insane) way. Instead, all we see are stereotypes with their prose already on the page. Seminar is a good play, but it could have been great (and a funnier comedy) if it had shown more truth about writing.